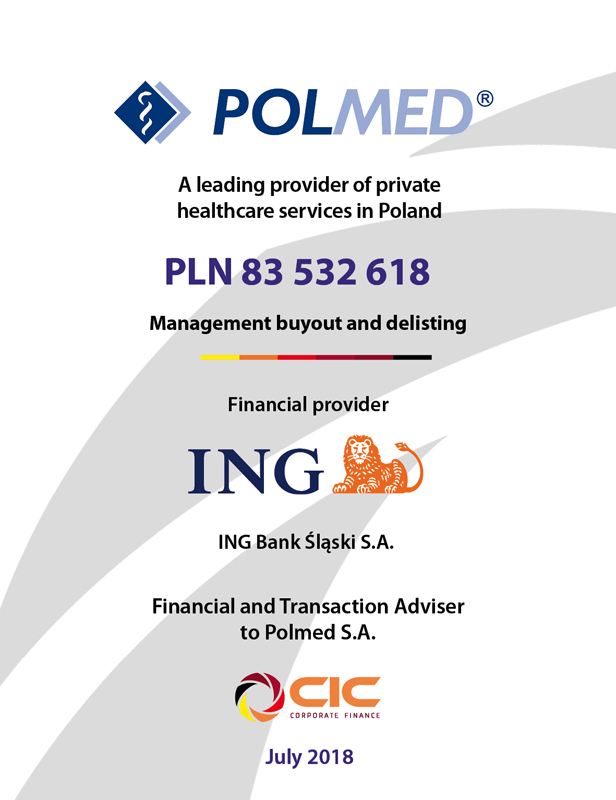 Polmed S.A. is a leading player on the Polish private healthcare market. The Company through the network of its own centres and about 2,500 partners offers ambulatory care services in terms of both primary and secondary healthcare for the individuals, companies and institutions nationally. 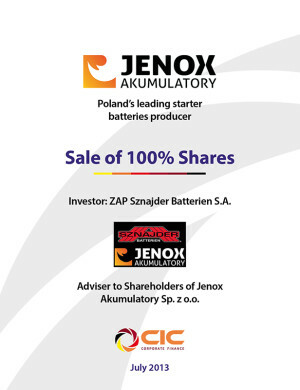 The tender offer for 100% shares listed at Warsaw Stock Exchange ( WSE) has been announced by Polmed S.A., Polmed Medical Limited – major shareholder of the Company, and its board – Radosław Szubert and Romuald Magdoń. Polmed S.A. has been the acquirer of all the shares tendered. As a result of this transaction, the offerors will together control 97.3% of Company’s equity translating into 97.8 % voting rights. For the shareholders of Polmed, the transaction was an excellent opportunity to sell the shares at the 2 years highest price. 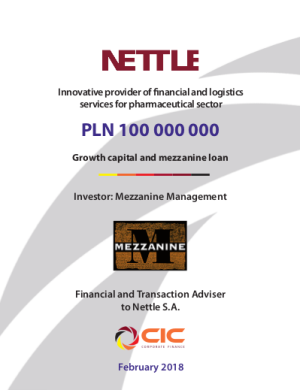 CIC Corporate Finance acting as a sole advisor to Polmed S.A. in the process of analysis, selection and implementation of the strategic options, led to management buyout. 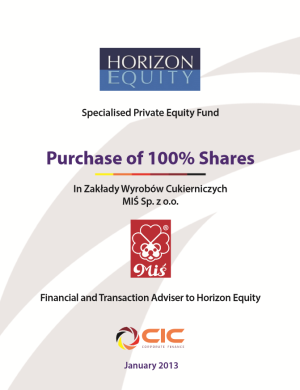 CIC Corporate Finance advised also on securing the financing for the stocks to be repurchased.